Attending a meeting or conference in Chandler and need to unwind? You don’t have to leave the city to find a way to relax or even something fun to do on your own or with coworkers. From grabbing a beer to painting a masterpiece, here are some ideas for unwinding after meeting, conference or just a hectic work day in Chandler. Or, opt for happy hour at The Living Room Wine Cafe & Lounge when most glasses are $5 until 6 p.m. D’Vine Bistro & Wine Bar’s happy hour also runs until 6 p.m. and offers $2 off wines by the glass. Bonus: D’Vine has daily wine specials and hosts free wine tastings every Wednesday from 5:30 p.m. to 7:30 p.m. If you prefer beer, relax with a cold one at SanTan Brewing Company, known for its award-winning Mr. Pineapple, a wheat beer infused with pineapple juice, and MoonJuice IPA. Also downtown, The Perch has roughly 30 beers on tap, half of which it makes onsite. Sit on the large, brick patio there, surrounded by more than 50 tropical rescue birds, or find a rooftop seat for a “birds eye view” of the area. Local newcomer The Casual Pint Craft Beer Market works like a coffeehouse. You place your order for one of the 22-plus beers on tap at the counter, pick your pint up from a “beer tender,” and find a seat inside or on the patio. Chandler is home to some of the Valley’s best mixologists. At The Ostrich, the talented team crafts historic cocktails like the Scofflaw and Trader Vic’s Mai Tai. Come for Tiki Tuesday when rum drinks and fruit juice dominate the drink menu. Nearby, at The Brickyard Downtown, head bar keep Bobby “Doc” Kramer mixes up classic cocktails, seasonal creations, and Brickyard favorites. 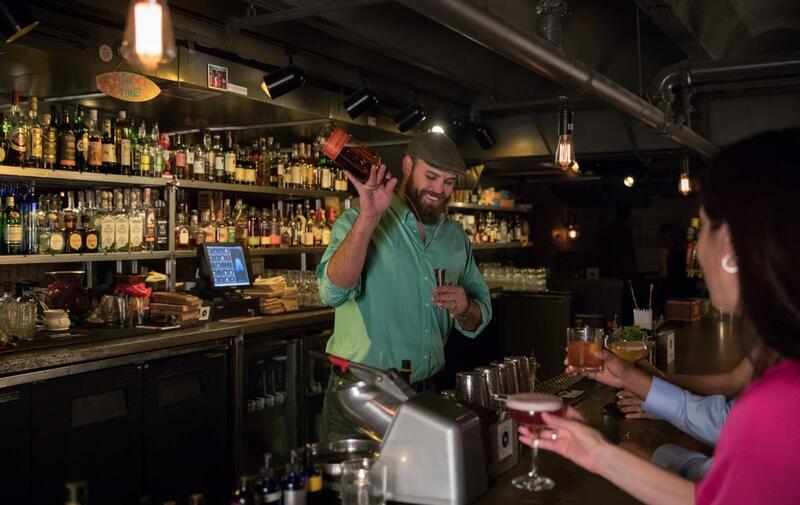 If you can’t find something you like, request a custom concoction featuring anything from the 15 pages of liquors and house-made scrubs and syrups. Want to lose yourself in the plot of a good movie? 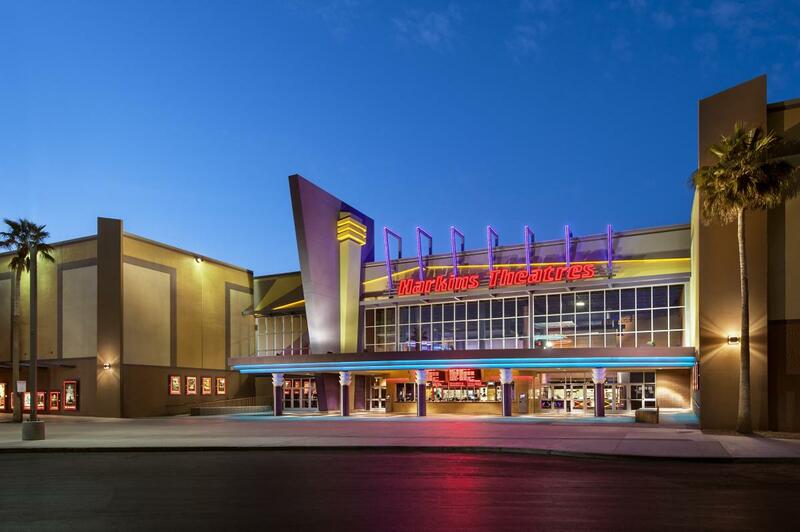 Chandler has two major movie theater complexes: Chandler Crossroads 12 at Germann and Gilbert roads and Chandler Fashion Center 20 at Chandler Fashion Center. Both feature rocker seating. Chandler Crossroads 12 has a lobby bar as well. For a twist on the dinner-and-a-movie outing, check out Alamo Drafthouse. The 9-screen theater serves entrées made with locally-sourced ingredients, local craft beers, and adult milkshakes. Plus, you can reserve your seats before you go. The best part? Alamo has a strict no calls and no texting rule so you have an excuse not to take your boss’s calls and texts. Depending on the time of the year, you can play up to 18 holes of golf after work. 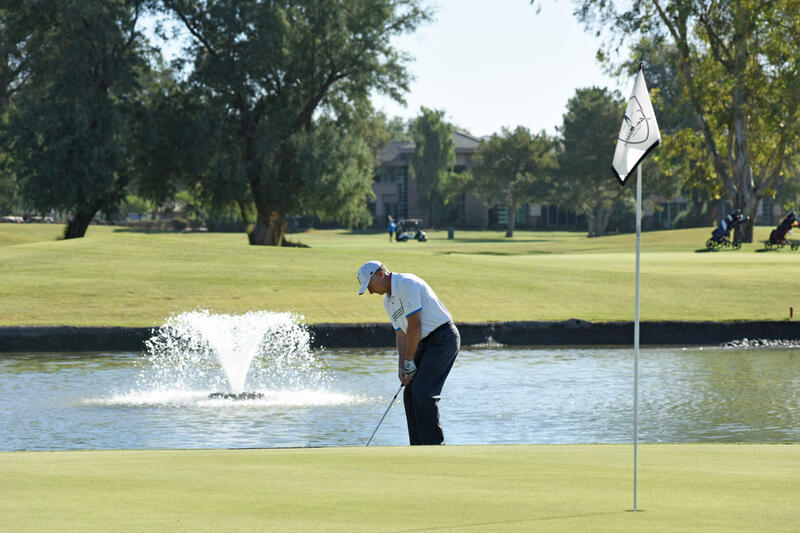 Ocotillo Golf Club offers twilight play on its 27 holes as does the city-owned Bear Creek Golf Complex. The San Marcos Golf Course lets you to pay for only the holes you have time to play through Quick Golf. (Download the app here.) After 3:30 p.m., you pay only $3 per hole. Or, you can hone your skills at SIM Marcos, the Crowne Plaza Phoenix Chandler Golf Resort’s PGA-quality golf simulator. Club rentals are available. More of a sports fan than participant? Cheer for your favorite team at The Hungry Monk, a neighborhood sports bar with approximately 50 beers available on tap or by the bottle. The Chandler location of Cold Beer and Cheeseburgers has 30 HD flat screen TVs on its walls as does Majerle’s Sports Grill at Chandler Fashion Center. Zipps Sports Grill has just as many HD flat screens, but during commercials, you can play shuffleboard, billiards, darts, pool, or touch games like trivia. 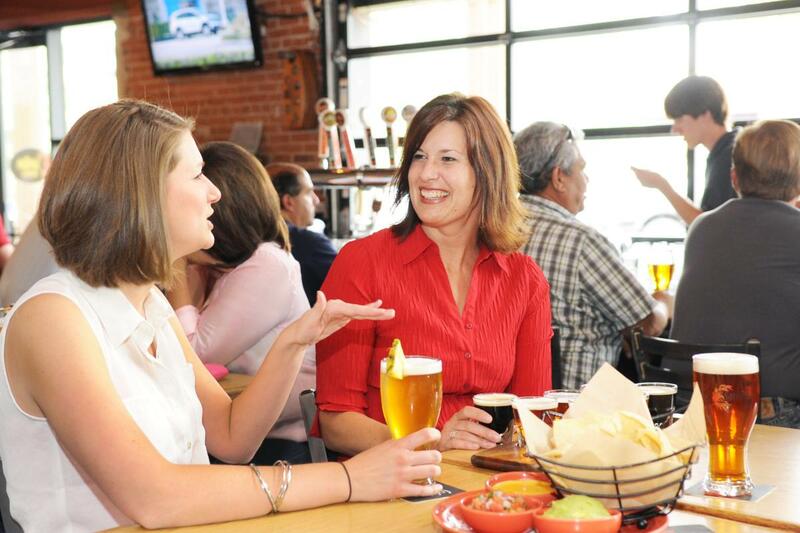 Head to the Local Chandler where the emphasis is on Arizona sports, local drinks and local food. A number of restaurants and bars feature live music. 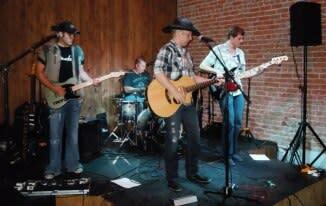 Bourbon Jacks has live music every night (usually country) and offers free dance lessons on Tuesdays. 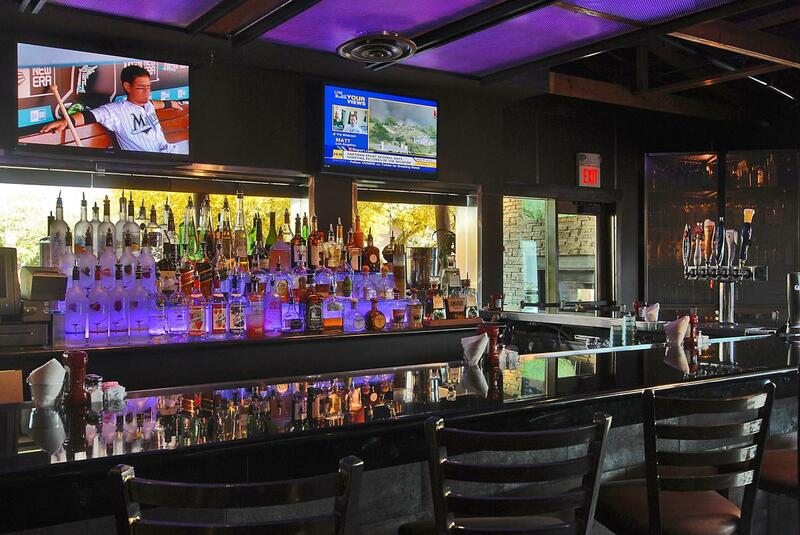 Jersey’s Tavern & Grill tends towards light rock when live bands take the stage on Friday and Saturday night. Check the tavern’s calendar on Facebook for open mic and karaoke nights. You can listen to music with an Irish bent Wednesday through Saturday at Fibber Magees and music with a Latin flare on Friday and Saturday at El Zocalo Mexican Grill. At Uptown Art, you don’t need any experience to paint an artwork you’d be proud to hang in your home (or at the office). 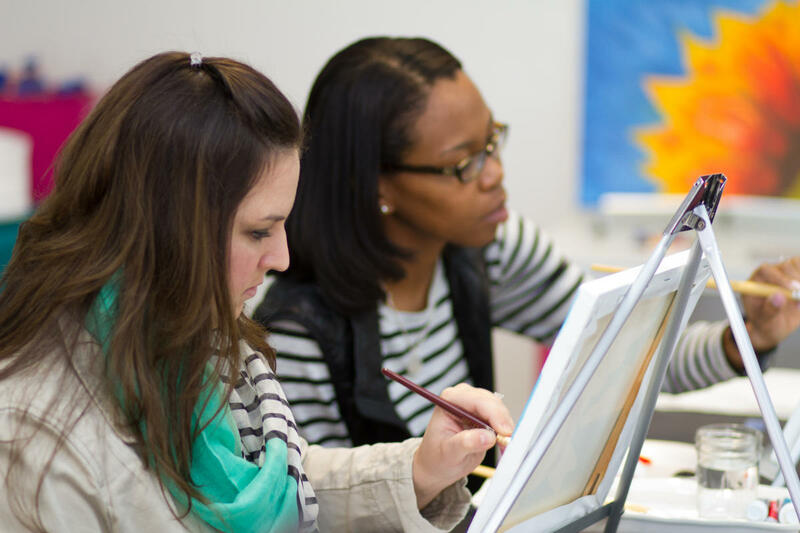 Just register online for the painting you’d like to create, and Uptown Art will provide all the necessary supplies and instruction. Bring your own bottle of wine to unwind even more. Burst of Butterflies has several walk-in options, including painting on canvas, glass and pottery. (Painting on pottery and fused glass projects require kiln firing and won’t be available for pick up for several days.) Check the calendar for evening clay wheel throwing, ceramic clay modeling, and canvas painting classes. If exercising helps you unwind, take a class at Joyful Yoga Studio. Drop-ins can participate in yoga and Pilates classes for $15 (TRX and Barre classes require pre-registration online) or in Zumba and pound fitness classes for $10. Joyful Yoga also offers therapeutic massages to ease tense muscles. Vibetbality welcomes drop-ins to attend yoga classes ($18) in eight different styles and ranging in length from 15 minutes to over an hour. You can also take advantage of the studio’s sensory deprivation flotation tank—one hour with no lights, no sounds, and no distractions—for $60. Packages are available if you can commit to floating at least once a month.